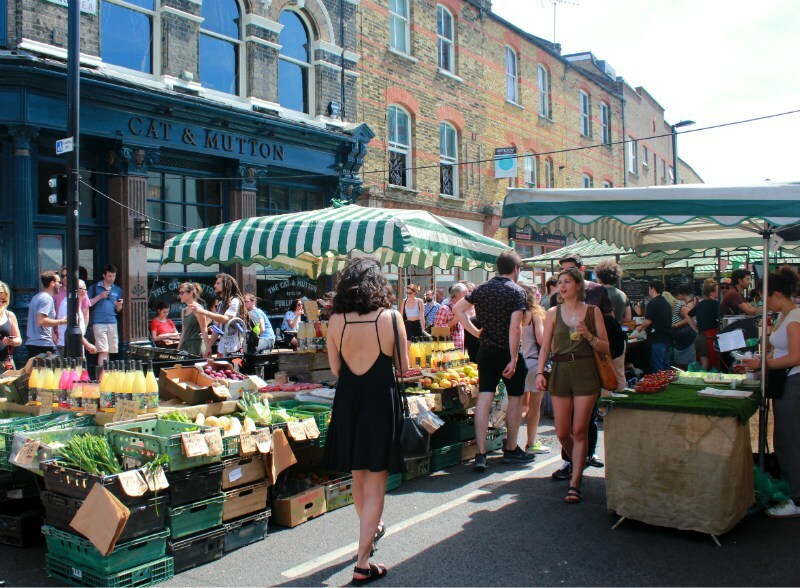 Food markets are fabulous places to get a taste of London’s vibrant culture and culinary diversity. 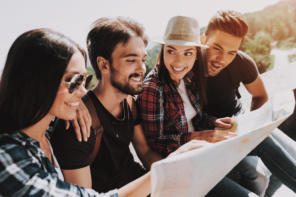 As I‘ve noted in this previous article on markets, the best way to gain insight into the culture of a country is through its gastronomy – which certainly thrives at local food markets. 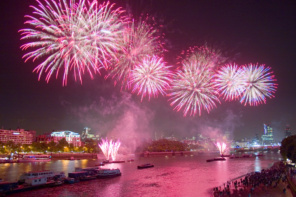 From Borough to Broadway; fruit to fish and meat; lunchtime bites to nightlife haunts, we’re treated to Londoner Angela Langley’s local expertise as she fills us in on some of the best culinary hotspots in London to visit. Known as the mother of all of London’s food markets, Borough Market has been around since the 12th century and is considered the ultimate street food haven. For a thousand-year-old institution, it’s remarkably modern. Last year in fact, it hosted the UK’s first Food Tech Village. 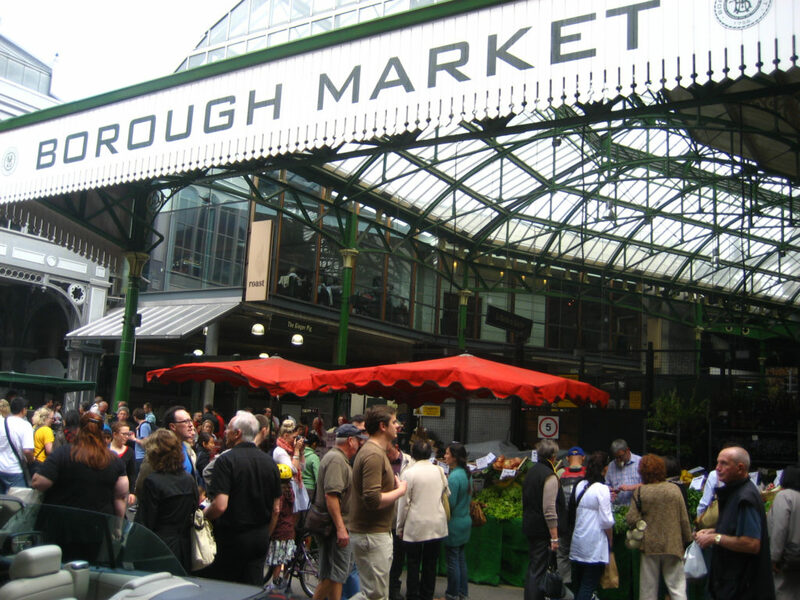 Located along Southwark Street, Borough Market offers everything from seasonal produce to well-loved treats. The specials to watch out for include the cheese toastie from Kappacasein Dairy and the meat pie at Ginger Pig. A stalwart in a vibrant, kitschy neighbourhood, Camden Market along Regent’s Canal is home to over 1,000 stalls in a variety of smaller markets. 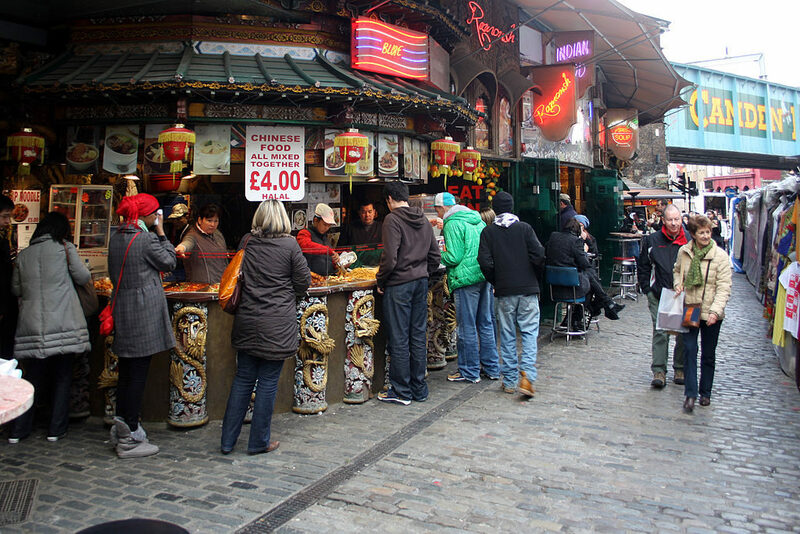 You can find exciting cuisine and fascinating odds and ends from around the world at Camden Market. For the best culinary experience, be sure to drop by the KERB market behind Lock 17, which features an ever-changing lineup of everything from Mexican-Korean fusion to Venezuelan cornbread pouches. For those with a big appetite, forget foot-long hotdogs and feast on Highlander Game’s metre-long sausages. 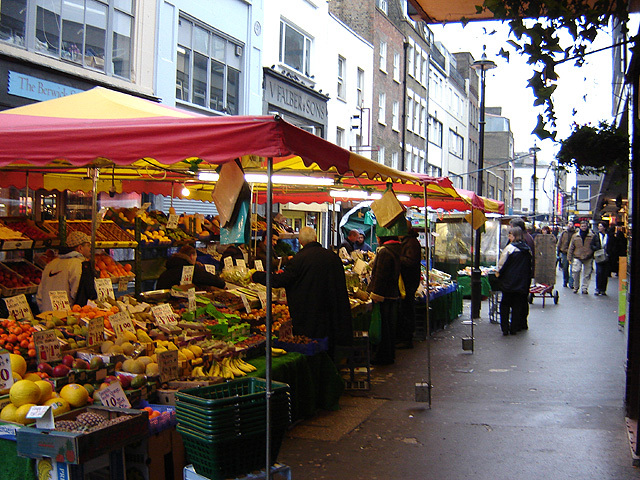 The Berwick Street Market is a colourful strip dotted with fruit merchants, florists, and fabric stalls along with great food to boot. The Guardian suggest the market is an independent bastion of old Soho at the heart of Central London. It’s a local favourite for lunchtime takeaways. These include the well-loved falafel wraps, Greek2Go’s souvlaki, and Pit Stop UK’s Malaysian curry. Smaller and younger than the aforementioned options, Maltby Street Market is a weekend favourite for lunch and craft beer. 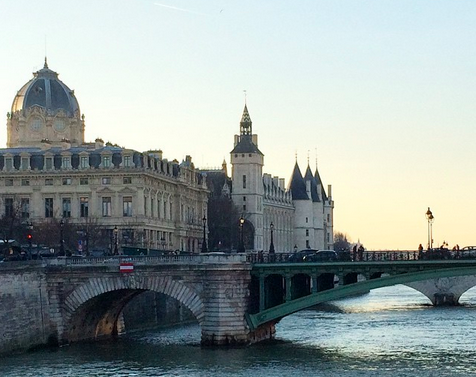 This picturesque location makes for a great visual and culinary experience. It’s right beside rail tracks in Bermondsey in South London, with vendors situated along the brick arches of rail trestles. 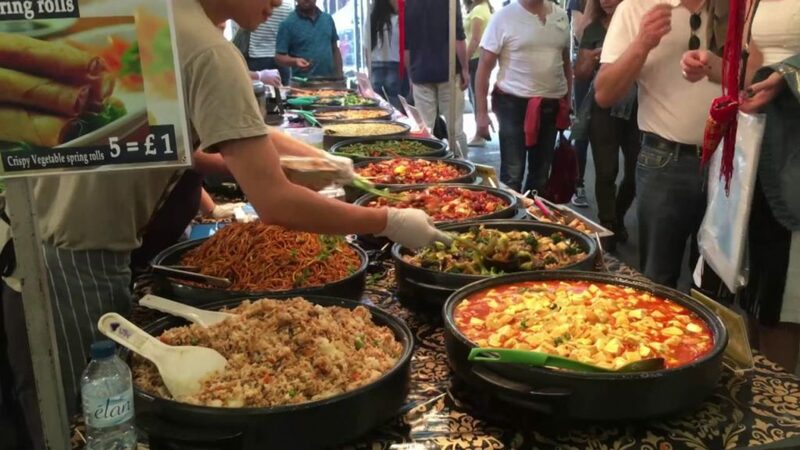 It opened in 2010, and features top-notch vendors serving food from around the world. Be sure to try out cheap steak from The Beefsteaks; a waffle-doughnut treat at Dhan Waffle; or the gin cocktail at Little Bird Bar. 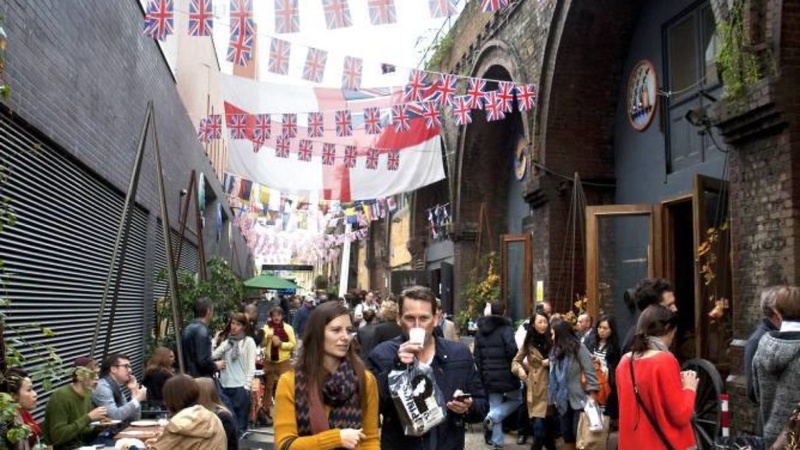 Brick Lane Market, an organised maze of stalls and street-sellers, features everything from vinyl records and vintage clothing to delightful home-cooked food and delicious tea. 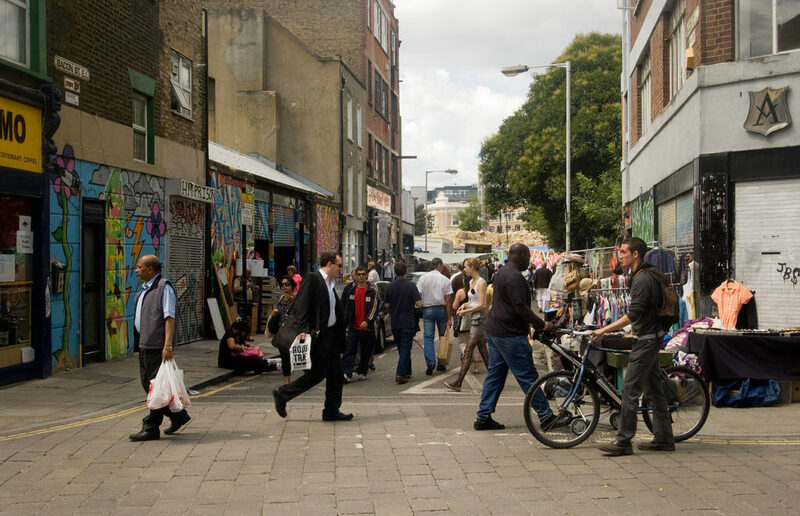 PartyPoker claims that Brick Lane Market is a very popular destination in the East End of London. So, make sure you don’t miss the chance to visit the Boiler House Food Hall for a wide expanse of international cuisine and enjoy live music from the city’s up and coming street musicians. 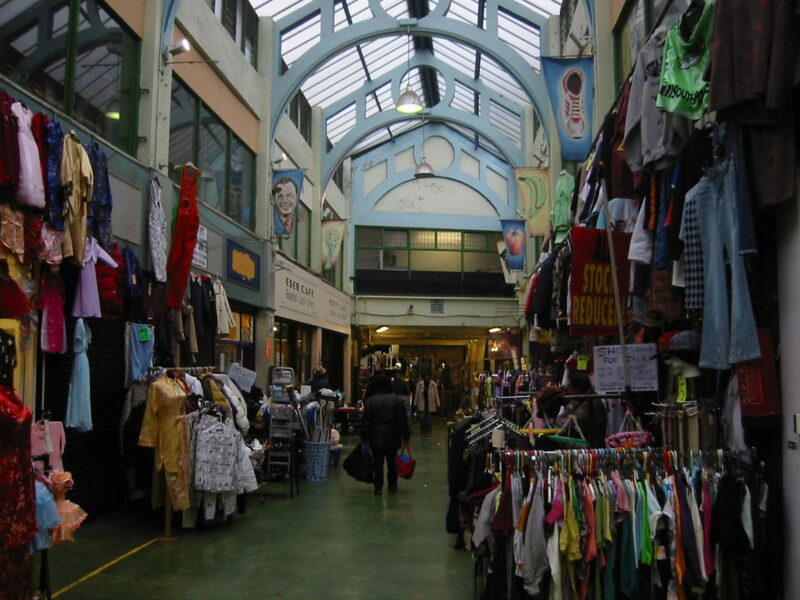 Located inside a former arcade, the Brixton Village Market is made up of a stretch of cafes, restaurants, and shops selling fresh produce and all sorts of wares. Don’t stop after checking out the outdoor vendors, as the covered market is where things get especially exciting. The recommended options are Brixton mainstays like Wishbone’s free range fried chicken and Franco Manca’s sourdough crust pizzas. There are also more exotic picks like Japanese okonomiyaki pancakes and home-style Colombian cooking. Broadway Market is a hugely successful Saturday market. The Culture Trip dubs it Hackney’s foodie hub, as it’s home to 135 stalls selling produce, artwork, vintage wares, and local cuisine. The pork banh mi offerings at Banhmi11 and Violet Bakery’s sweets are local favourites, while Climpson & Sons Café serve a refreshing cold brew to sip during your leisurely walk. Although the neighbourhood is most alive on Saturdays for the market, the area’s cafes and boutiques are still bustling with activity all week long. No trip to London is complete without a visit to some of its thriving food markets. 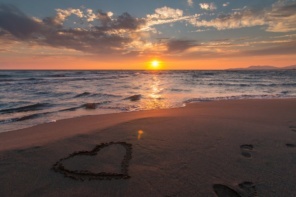 If you liked this list, be sure to check some romantic things to do in London through our weekend guide here on Je T’aime, Me Neither! Angela Langley is a Shoreditch-based coffee connoisseur and writer with a passion for food. When she’s not behind the espresso machine or in front of a laptop, she’s scouring local food markets for the best street food England can offer. She has a soft spot for phở and curry.